David H. Diesslin, CFP®, MBA. | Diesslin Group, Inc.
David H. Diesslin, CFP®, MBA. David H. Diesslin, CFP®, is the Chairman and Founder of Diesslin Group, Inc. Dave founded the firm as Diesslin & Associates, Inc. in 1980 and has provided fee-only financial planning and investment management ever since. He has been honored as one of the “Best Financial Advisors” in Worth Magazine, Medical Economics, and Money Magazine and has been endorsed by the Consumers’ Research Council of America as one of “America’s Top Financial Planners.” Throughout his professional life, Dave has worked diligently to promote and advance the financial planning profession, both nationally and internationally. He has served as Chairman of the Board of Governors on the Certified Financial Planner Board of Standards and is also a past Chairman and President of the National Association of Personal Financial Advisors (NAPFA). 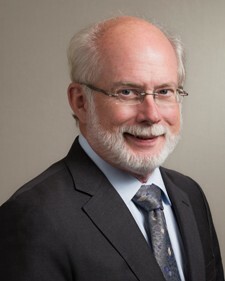 In addition to his advisory role at DG, Dave currently serves as acting Administrator of the U.S. Technical Advisory Group Committee 222, working with an international contingent of eighteen countries to develop and standardize global personal financial planning criteria and assessment. Dave received an M.B.A. from the University of Dallas and a B.S. degree in Business Management from Indiana University. He has held his CERTIFIED FINANCIAL PLANNERTM designation since 1983. Prior to entering the financial planning profession, Dave served as First Lieutenant for the United States Army Signal Corps.